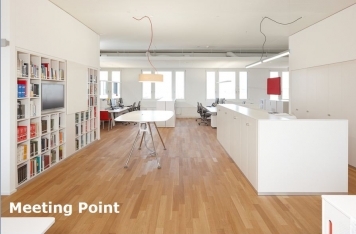 In April 2010, BUSS ChemTech AG moved into new Office space of the latest design. 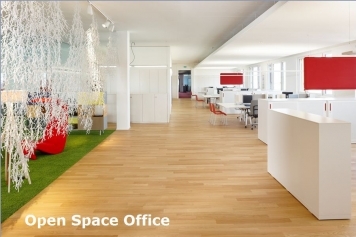 When BUSS ChemTech AG decided to invest in a new office in spring 2009, the intention was to create modern and attractive work stations which meet both the ergonomic needs of the employees and the requirements of a leading technology company. To realize these objectives we commissioned the interior design office Christian Kohler AG in Basel (www.frontofficedesign.ch) to develop an appropriate concept for the new ANAXO building on the BUSS Industrial Park. In April 2010, we moved in and we can report with pride that Christian Kohler has successfully met our expectations. They created a visible and lively expression for our company where employees and customers feel both relaxed and inspired. The utilisation of colours and materials chosen brings a warm and homely feel to the office, while the design reflects our corporate culture: functional, technical, industrial. The central point of the office is the multifunctional lounge for the employees, used for breaks, discussions and as a general meeting point. 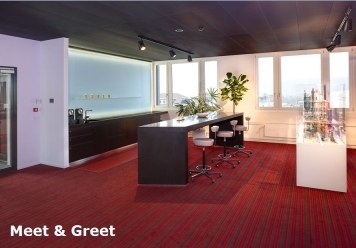 The colour and material concept of the reception area is purposefully different from other areas in the office. In contrast to the industrial character of Buss ChemTech, we have used warm colours, smooth shapes and soft light to ensure our international customers have a warm and welcoming experience. 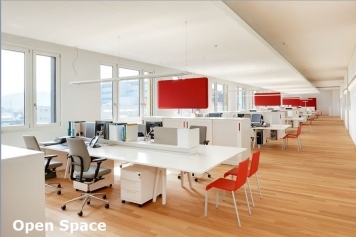 The decision to go for an open space office was easy, as it supports and facilitates teamwork and co-operation in project working. However, this choice brings the added challenge of creating enough space to display or hang large plans. This was achieved by creating shared freestanding tables between office spaces, and by placing a magnetic layer under the wallpaper of all walls. The interior concept ensures immediate access to meeting points either sitting or standing, promoting good communication and focussed concentration.